Just about every major manufacturer has announced an onslaught of new vehicles to be released in the next few years. From hybrids to EVs and new niches within niches, it can all seem a bit much at times. 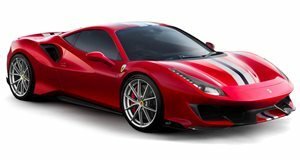 Yet when it comes to Ferrari and its promise of 15 new models by 2022 we are always keeping an eye out for any interesting details to leak out from the most iconic supercar manufacturer around. We recently showcased a rather impressive design by visualizer Samir Sadikhov who reimagined what a modern-day F40 would look like down to the last painstaking detail. This time we have unearthed some info regarding the F40s spiritual successor, currently referred to as the F40 Icona. The helpful chaps over at the Ferrarichat forum have taken the time to collate all the bits of news that have been circulating the web regarding this model and according to them, the F40 Icona will be a modern interpretation of what remains one of the most desirable Ferraris of the last 40 years. The most reliable bits of info suggests that the F40 Icona will, as its name suggests, join the newly created Icona line of vehicles. However, instead of the usual 499 build limit this one may equal the original F40's 1,315 total. Performance wise, the F40 Icona should use an updated version of the upcoming hybrid KERS-assisted twin-turbo V8 that will be making its debut in the F173, another new model expected to debut in May this year. While the power output of this new engine is projected to be up to 950 horsepower in the F173, the F40 Icona could make another 100 hp thanks to electrically-assisted turbos. Pricing is estimated to be up to $1.8-million although as with any rumors, details are subject to change as we get closer to the reveal. Shaving weight and increasing power was only part of the equation.